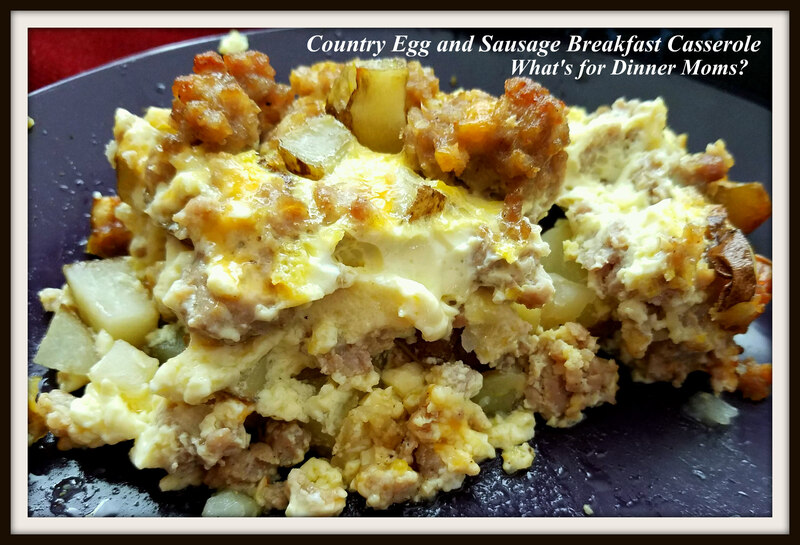 Country Egg and Sausage Breakfast Casserole – What's for Dinner Moms? The cold has broken and it was over a 90 degree temperature change between yesterday and last week. Things are getting slushy so we are trying to get everything up and off the driveway and sidewalks so that it doesn’t freeze. At least it is warm enough now to do this. End of the month and finding a last package of country sausage at the bottom of the freezer is a great find in our house. I had a coupon to use for the local grocery store and potatoes and eggs were on sale so we able to get those things for $1.37. Yes! It is the little joys when you get towards the end of the month when you are only paid once a month. We love breakfast for dinner. I love making all the pieces of the casserole the night before so I can put it all together right before I want to bake it. 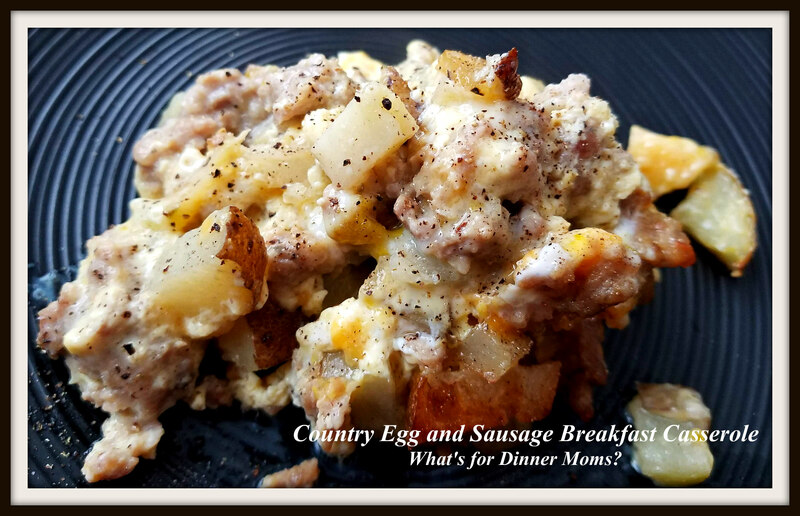 Fry up the potatoes (or better yet use leftover oven roasted potatoes), fry the sausage and onion, and shred your cheese the night before you are ready to bake this and it is super easy to put together the next night. Try using different flavored sausages if you are adventurous! Breakfast for dinner is always a treat! Preheat oven to 350 degrees. Spray a 9″ x 13″ casserole dish with non-stick spray. Cook sausage and crumble into small pieces as it cooks. remove from pan. Add potatoes to pan and fry if they are not already cooked. Remove from pan once cooked. Put potatoes in bottom of casserole dish topped with sausage and cheese. Mix egg, milk, onion powder, garlic powder, salt, and black pepper in a bowl until well beaten. Bake for 35-40 minutes until eggs are set. Knife inserted in center will come out clean. Remove pan from oven and allow to set for 5 minutes before serving. Breakfast for dinner is always a nice break from the norm. Thank you, Marci! That looks like a really great Sunday morning breakfast with the whole family. Yummy! Thank you! 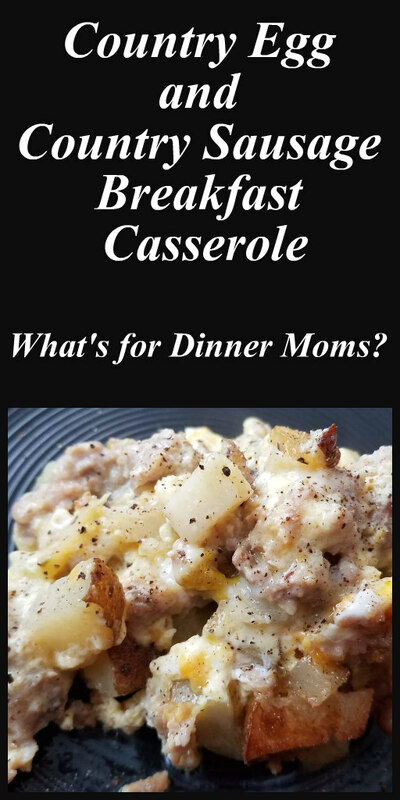 I love an easy casserole I can mostly make ahead of time. Those are always the best idea for us busy women… hehe.